Solves penalized least squares problems for big tall data using the orthogonalizing EM algorithm of Xiong et al. (2016) . The main fitting function is oem() and the functions cv.oem() and xval.oem() are for cross validation, the latter being an accelerated cross validation function for linear models. The big.oem() function allows for out of memory fitting. The oem package provides estimation for various penalized linear models using the Orthogonalizing EM algorithm. Documentation for the package can be found here: oem site. Huling, J.D. and Chien, P. (2018), Fast Penalized Regression and Cross Validation for Tall Data with the OEM Package, Journal of Statistical Software, to appear, URL: https://arxiv.org/abs/1801.09661. 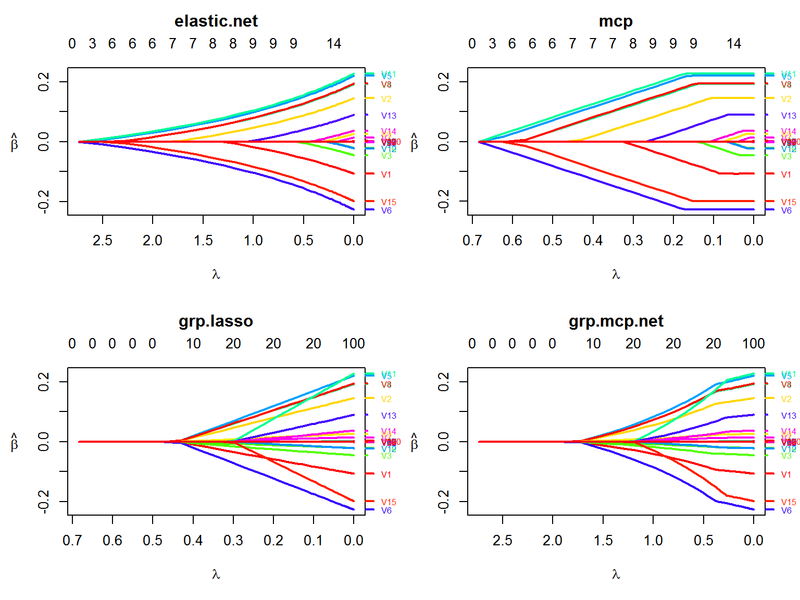 In addition to the group lasso, the oem package offers computation for the group MCP, group SCAD, and group sparse lasso penalties. All aforementioned penalties can also be augmented with a ridge penalty. The oem algorithm is quite efficient at fitting multiple penalties simultaneously when p is not too big.